Photo Gallery #62: Click edit pencil to get the selected gallery name. 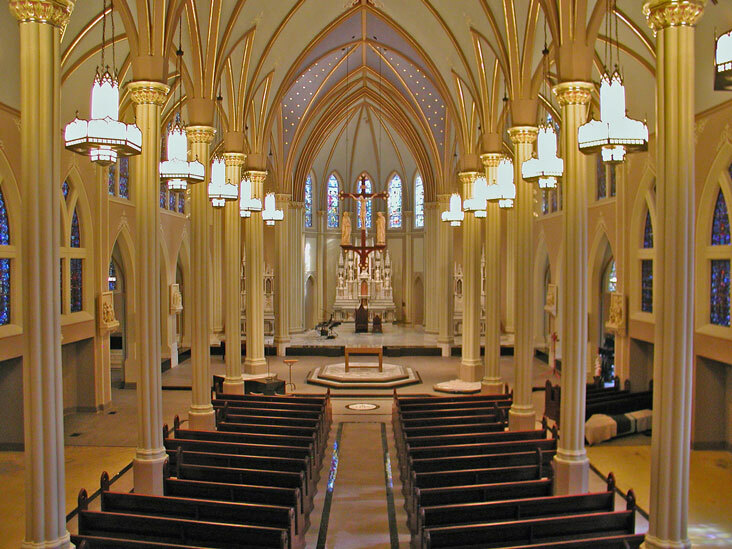 Project: Creighton University, St. John’s Parish, Omaha, Neb. Fixture: Standard Manning Traditional French Gothic fixtures were outfitted with compact fluorescent lamps with dimming capability and quartz halogen downlights.